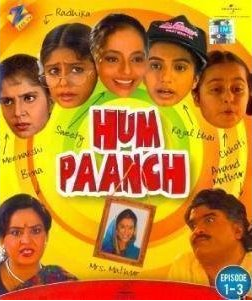 Episode #6 of Hindi TV Serial Hum Paanch explores the basic human attributes of jealousy and ego. It also affirms that the divide and rule policy still works really fine. And if you doubt your loved one a very little, someone can grab the chance and make create a very huge gap between you both. So be honest in the relationship, do not break trust of your counterpart and trust him or her unless you have strong evidence of his/her wrongdoing. Current exam system and various techniques used by the students to copy in the exam. Don’t make fun of someone beyond a certain limit. Making one feel bullied and dishonored is dangerous for the victim and the one who does it, both. Trust is the base of any relationship. The episode takes off nicely. The conversation between Radhika and Anand Mathur is something you don’t like to miss in this episode. Of course the dialogs are small and witty, but the timing of both actors play a vital role in making the scene very effective. The bold mother-in-law track is not very funny. And through the dialogs even the makers convey the message to not to make fun of anyone’s disability or look. The stuff works because of the aftershocks of the scene. The kids make fun of one of their grand mother (because Anand Mathur have two wives, one is dead and now the part of the family via a photo-frame, and the other is alive). It was taken very seriously by the victim. She then decided to take revenge! But when she was realized that the strength of the girls is in their unity. She decides to play wisely. The scene which initiates the divide and rule trivia is effective. All of a sudden you see girls are divided into two groups and now there is a passage of rivalry between them. Which, over the course of time, got widened due to the efforts of the grand mother. How they realize their mistake and get united again is the rest of the episode. Apart from this main track, there is another small track which is worth to mention. Kajal was able to get great marks in the paper she was surely to fail in!!! Now it is very shocking news for all the family members. So they asked Kajal for the explanation, which was very revealing. It proves that why it is said that a person should have to be pure in character, when he has responsible place in the society. If you are a ruler, or educator or a manager who have to lead a group or considered as an icon in a segment of the society; you have to behave accordingly. Otherwise, your mistakes can be used by someone against your fate. Blackmail is only one of the possible threats in case. We often doesn’t realize it and doesn’t monitor our behavior, which can be harmful. The dialogs are first rate. The message of wisdom is spread mainly through the dialogs of Anand Mathur. He is one of the wisest character written for this TV Serial. Ashok Sharaf is convincing. Shoma Anand has a smaller role than Ashok Sharaf which she plays effectively. Almost all the other actors does their bits and make the episode a “fun and learn to watch”. 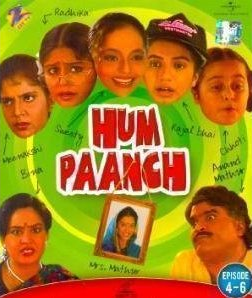 Today, when there is a shortage of quality sitcoms which can be watched by the entire family together; having this TV Serial available as a set of DVD is really nice. Our personal verdict: you should watch the episode and you will regret the money and time you spent for the same. Did you watch the original telecast of the TV Serial? What are your thoughts about this episode? Do let us know your thoughts, we love to read you. And yes, do not forget to share this article with your friends on various social networks.